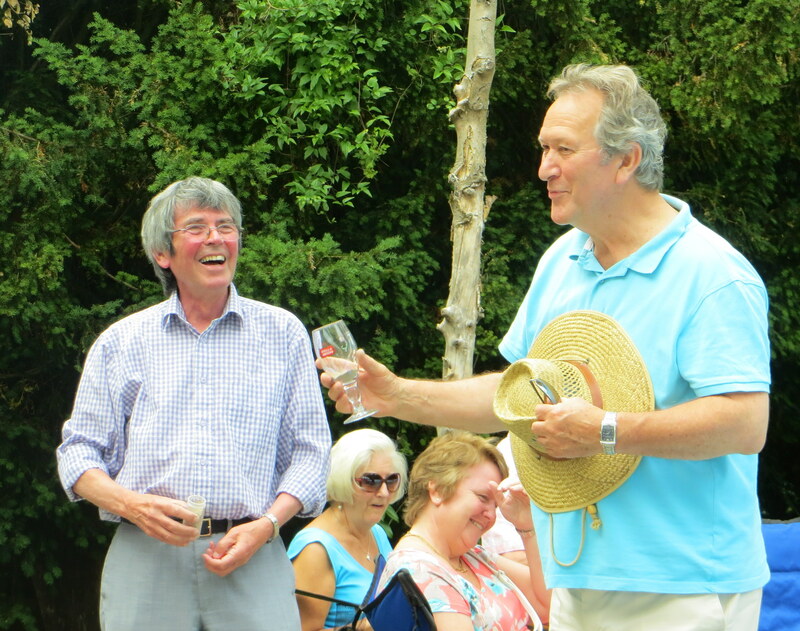 While the wedding of the year was taking place in Croydon on Sunday 9 August, across in Keston a happy band of members, family and friends gathered for the choir barbecue, graciously hosted by Kimball and Annie Ormond, choir chair and consort respectively. 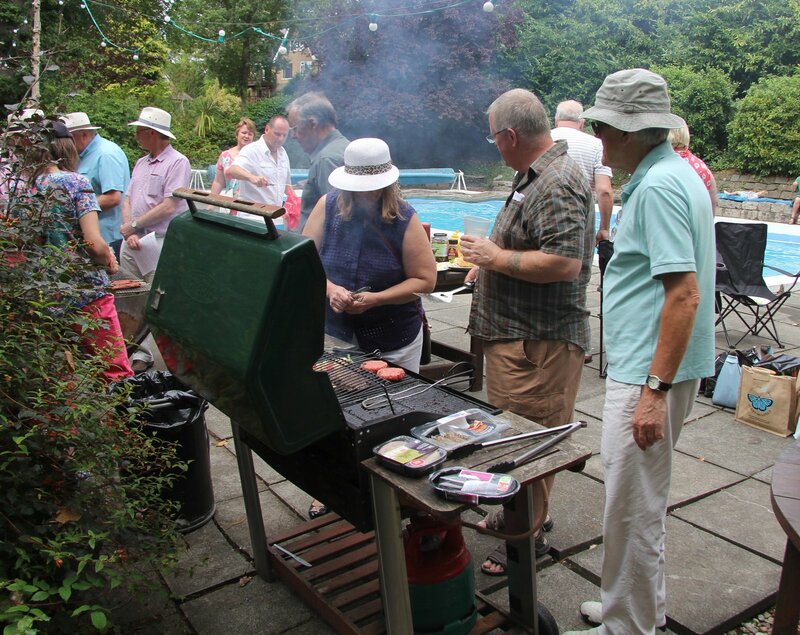 The 50-strong barbecue-goers ate, drank and sang the afternoon away. 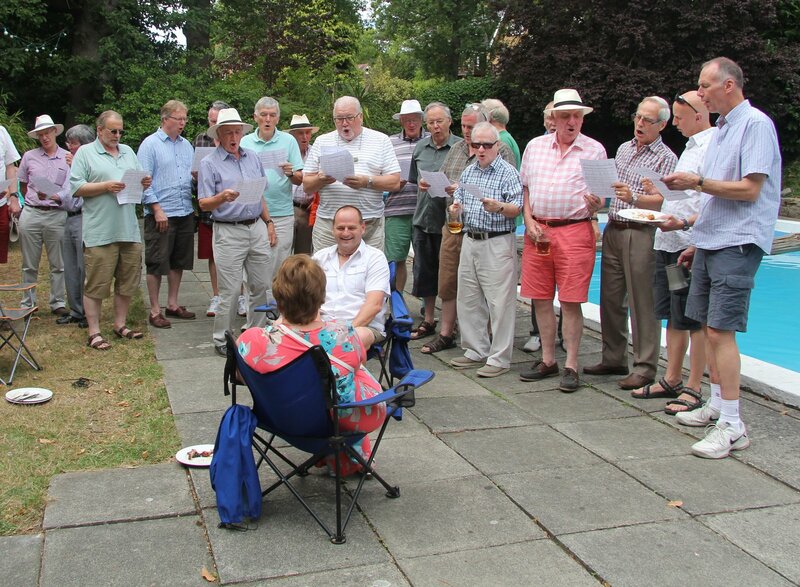 The musical highlight was the serenading of baritone Mark and Janine Hughes, who were celebrating their wedding anniversary, with the Anniversary Waltz, conducted by choir stalwart ‘Big’ Nev Clark. 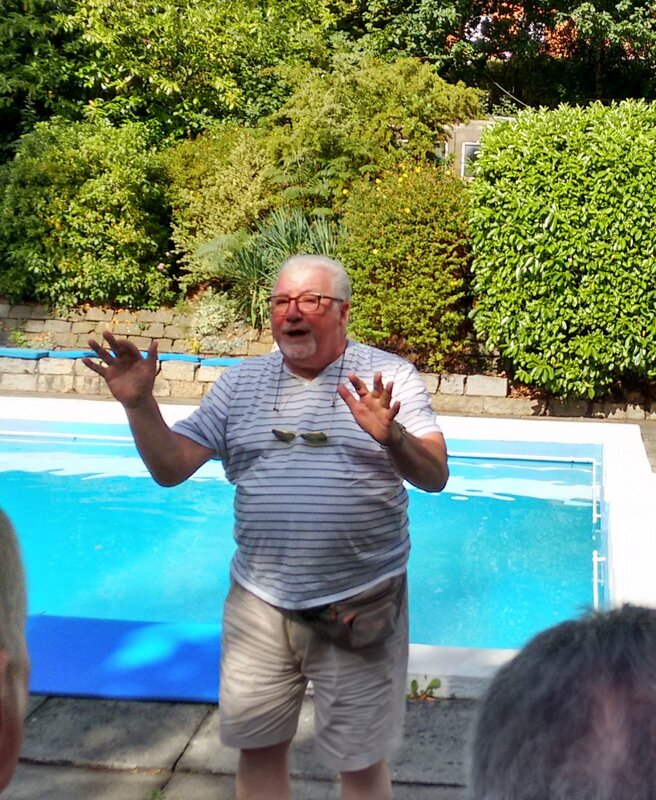 Other features included the presentation of a new urn of Ashes to Aussie Jon Evans, made by Pete Smith with a suitably gloating speech; and failed attempts by Paul Binge (baritone) and Peter Gillman (bass) to walk the log across the Ormonds’ sumptuous swimming pool. Only Sally Binge made the crossing successfully. 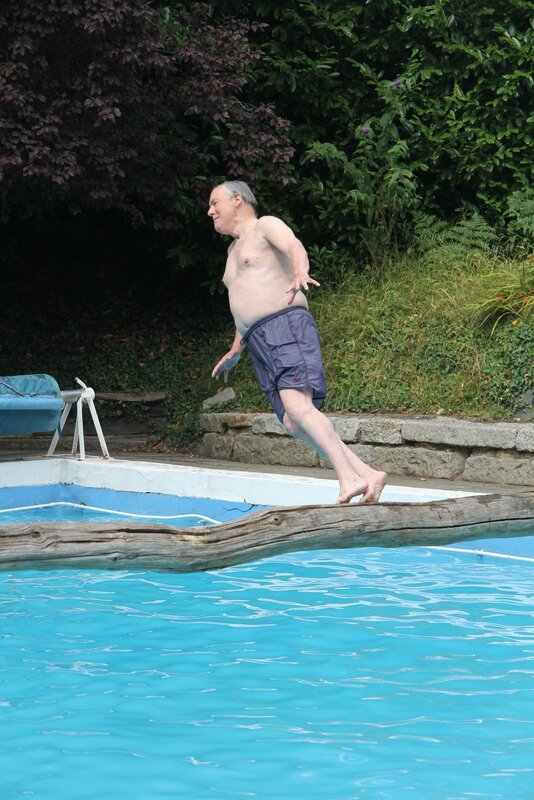 We are pleased to present a selection of photographs taken by John Ward Turner, Keith Sandland and Peter Gillman.